As an engineer, I am fascinated with the idea of turbocharging an internal combustion engine. You truly get something for nothing out of the proposition. What’s not to like about that? Well, there is technical complexity added and an increased risk of mechanical failure, not to mention increased cost. But the idea is still an itch for me that needs to be scratched. One of these days I will. For now, I’m trying to increase my knowledge base on the subject. I recently purchased two books on the subject. This one by Corky Bell does a very good job of explaining the subject. Compared to the other book I purchased, Turbocharging Performance Handbook, this one is less technical and more practical. It is certainly represents a good starting point for one to read and get up to speed on how turbochargers work and the various details involved with turbocharging your vehicle. 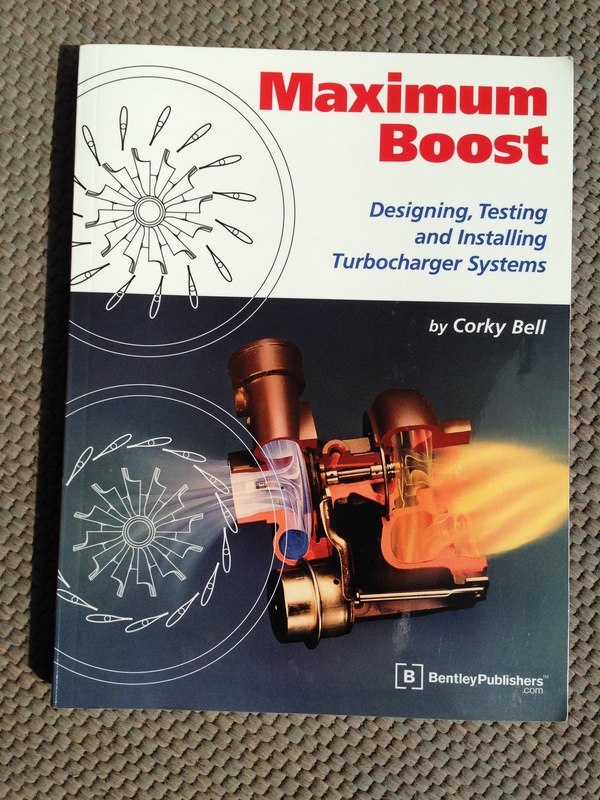 A quick internet search shows that Corky is currently associated with BEGi, a firm that sells turbocharger systems. 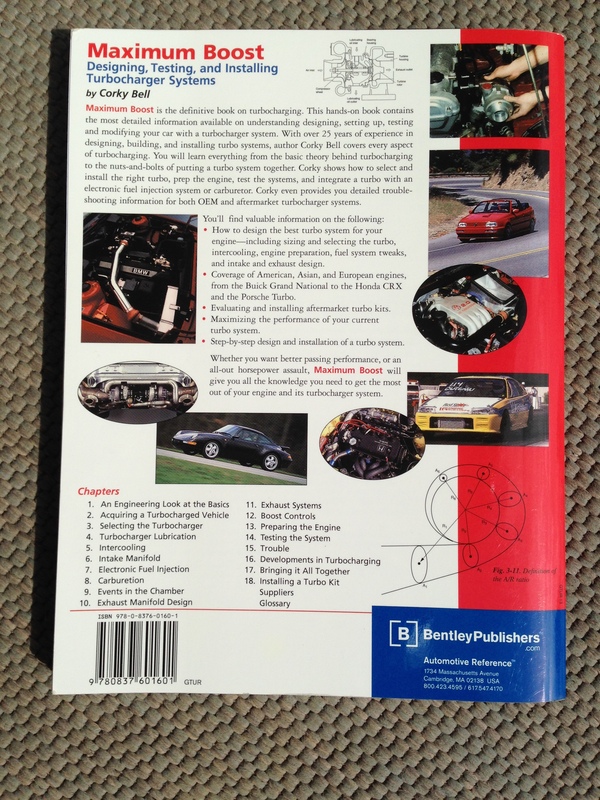 The book does tend to lead the reader towards purchase of systems put together by experts for specific vehicles, a concept that I have no trouble with for the average guy that wants to add a turbo to his car and be up and running with minimal fuss. As you will find when you read the other book, there is a tremendous amount of engineering involved with developing a turbo system from scratch, as well a significant amount of fabrication and expensive components. That said, going into the proposition with some knowledge as you will obtain after reading this book is probably a good idea for such a major purchase.